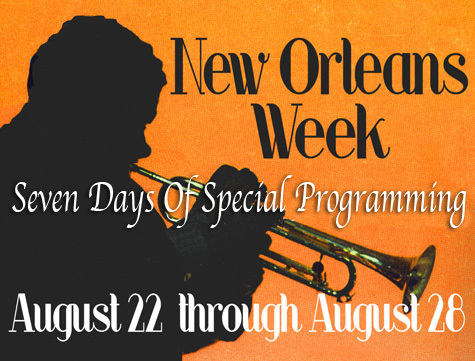 Vagabond Shoes is polishing its footwear to travel down to La Nouvelle-Orléans to honor the birthplace of jazz and commemorate the continuing reconstruction of the Crescent City on what is now the 6th anniversary of Katrina. We’ll play our usual gumbo of genres, with an emphasis on “N’awlins”-style, with our usual inspired detours to folks like Randy Newman, Lucinda Williams and Paul Thorn whose songs in one way or the other namecheck the Big Easy, as well as some of the music featured in the hit television series, Treme. As Tom Waits once crooned (and, yeah, you can bet you’ll hear this one as well), “I wish I was in New Orleans.” Saturday night, we’re going to take you there.